Power Rangers, the franchise that spawned new iterations for every generation since the 90’s, released its 2017 theatrical movie March 24 and the film has its hits and misses. The movie managed to create characters that are charming and interesting, but its problems come on later as the plot progresses. The story starts out with the main characters meeting and being chosen to be the Power Rangers just as Rita Repulsa, the villain of the story, rises again in an attempt to destroy the earth. As the film continues we learn more about our characters and why they act the way they do and watch them grow. The plot is simple and a bit cliched, but it works and most of the good parts of the film come from the characters themselves. The characters in this film are the best part of this film, they evoke the most emotion and are really the heart of the film and the actors all work off each other really good. RJ Cyler, the actor for Billy Cranston, really shines as the blue ranger and brought out something new to the character that is well done. The other great thing about them is they behave like teenagers, they do dumb things and they have attitudes which is something the original series lacked. A problem with the movie is that the dialogue sometimes feels awkward or out of place, and sometimes the adult characters were not the best, especially when compared with the main characters. Another issue is the CGI in the film was not the greatest, at its best it was passable and at its worst it looked bad. The exception to this was Alpha 5 whose update in this film was well done and along with help from the voice actor, the character was brought to life. 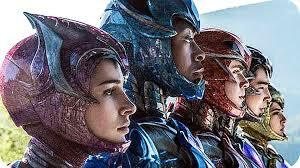 The other thing was the film should have introduce the Power Rangers earlier, it felt the film took too long to build up to the reveal, so it just felt flat. Aside from that, however, the suits for the characters looked good in the film during the action scene and fit the new look the film was going for. As for the side characters, they are done pretty well, with each character being given an update to their personality that made them feel different and fresh. Zordon, played by Bryan Cranston, is given a new look to him that looks cool and his characterization is changed in a way that makes him seem complex. As for Rita Repulsa, played by Elizabeth Banks, she is definitely the most eccentric character in the series, which at times clashed with the atmosphere the movie was going for. The film overall had its bumps, but was an enjoyable origin story for a recreation of beloved franchise that still to this day manages to bring joy to new generations. If you’re looking for a fun film definitely check it out.